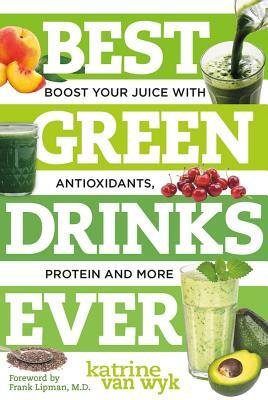 Why have green drinks gone from diet trend to diet staple, with Starbucks being the latest to jump on board? Simple: drinking green alkaline vegetables balances the body, clears the skin, and lifts the spirits. Katrine van Wyk shows readers how to enhance these benefits with added protein, fiber, and superfoods such as acai and bee pollen. By taking your smoothie to the next level, you'll find yourself satisfied more quickly, which means eating less of what you don't need. The results will shrink inches from your hips and add a smile to your lips From the Cococabana to the Tropical Green to the Green Kiss, all these drinks sneak a bit of green into every sip.